Girt By Sea: The latest issue of 'On the Map' is now available. 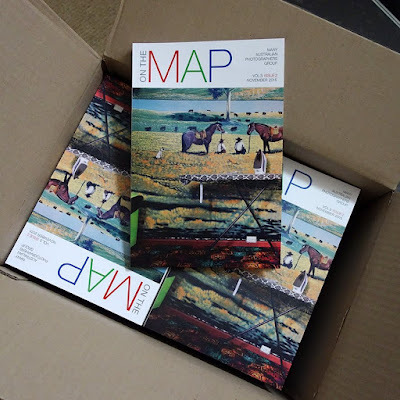 The latest issue of 'On the Map' is now available. The latest issue of 'On the Map' is now available. Within its pages are a mix of images of Australiana - Captured in Time, St Arnaud 10 years after MAPgroup first documented the town and its people as well as images as diverse as a sheep station near Collarenebri, NSW, in the 1950s by MAPgroup photographer Francis Reiss and more recent pictures of Morocco from Silvi Glattauer. And more! Purchase directly from MAP Group here.